Dr. Christine Mangala Frost, a venerable resource person at the Institute of Orthodox Christian Studies at Cambridge, UK gave a brief talk on her journey from being a Tamil Brahmin to Orthodox Christianity on Tuesday December 4, 2012 at the Ecumenical Hall in the Smrithi Complex. 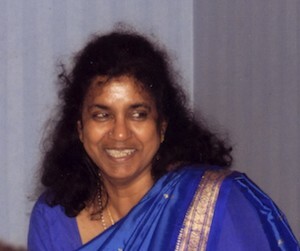 Dr. Christine Mangala was born a Brahmin Hindu. She was brought up on yoga. Her grandfather, in fact, was a personal friend of one of the expounders of modern yoga and Vedanta philosophy, the well-known Swami Sivananda, who is the founder of the Divine Life Society. She became a Christian at age 22, and later converted to Eastern Orthodox Christianity. She received her doctorate in English literature from Cambridge University, and has authored articles on literature and books of fiction, of which she has written several, as well as various spiritual subjects, including yoga and Christianity. She is married to Dr. David Frost, the director of the Institute for Orthodox Christian Studies in Cambridge, England with whom she has four children, and she attends St. Ephraim’s Russian Orthodox Church in Cambridge, UK, England. Coming from a family with a strong Briahmin heritage, she described on how her life was set up on the philosophies of Advaita. However, owing to its partialities to the Brahmin caste as such, she gradually diverted to the faith of the Bhakti movement. Her experience with theological writings especially those of St. Basil and St. Chrysostom influenced her a lot to discover the truth. A living God in history, community, inspiring, loving God, compassionate, sacrificing took her heart for a gradual change to Christianity, although first in the Anglican order. This was also highly influenced by Rev. Dr. David Frost, her doctoral supervisor in literature, whom she later married. Rev. 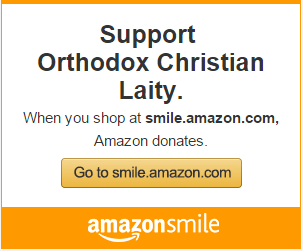 Dr. David frost is currently Director of the Institue of Orthodox Christian Studies at Cambridge. The monotony in the faith practices and the influence of the Orthodox Church in Australia gradually led to the couple’s Chrismation in 1997. 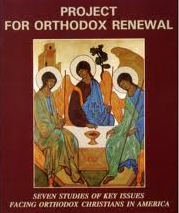 This, Dr. Managala termed as “coming home to Orthodoxy”. Her talked revolved around how she was inspired by the Divine Liturgy, the beauty of Holiness of God, the body, soul and spirit invloved in the Mass, theology which is completely saturated with the faith and creed of the Church, union in communion and a Trinitarian focused worship. In response to a query, Dr. Mangala frost ended the talk by stating that Orthodoxy was the best way to salvation, if not the only way. Originally posted on December 6, 2012.